Thought I would add another glimpse into my podcast and how helping people with persistent pain is something I LOVE to do!! Please click on the graphic above for a sneak peak. We owe it to our patients to perform a whole body assessment, educate them and above all, LISTEN to them. When you have persistent pain and no one has been able to help you, you want a solution and you want to be heard. I have been down that route myself with many injuries over the years and the quality I value most in a health care practitioner, is their ability to listen and look me in the eye. Subscribe at Itunes or Spotify! Tough to Treat. 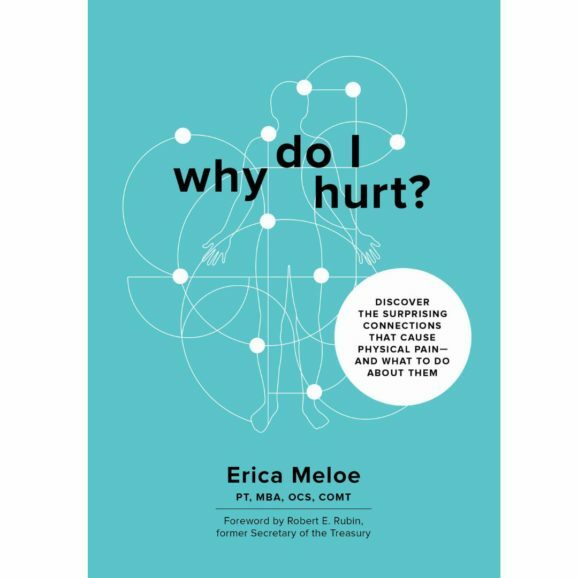 I am so honored to have been interviewed by Gretchen Rubin upon the launch of my new book, “Why Do I Hurt? Discover the Surprising Connections That Cause Physical Pain and What To Do About Them”. We discuss pain, habits, happiness and productivity. You may not be surprised that these all can relate to each other in very interesting ways. Movement in whatever form is good for your body, mind and soul. And when you make that a habit, even better! In the interview, I talk about how the delivery of a diagnosis to someone is the most important interaction we have with our patients. Health care professional’s words matter. The way it is delivered can have a placebo effect or it can be a nocebo. Read the interview for more on that. It is extremely compelling when you tell a patient that they have a choice versus telling them that they must do something or they will never get better. Really different words with an enormous effect on how we process pain. Many people have labral tears in their hip but is surgery the only solution? More often than not, there are secondary issues causing the labral tear in the first place, especially when someone still has lingering issues that the surgery did not address. Does a lack of control in the foot cause a hip labral tear? An overactive pelvic floor? 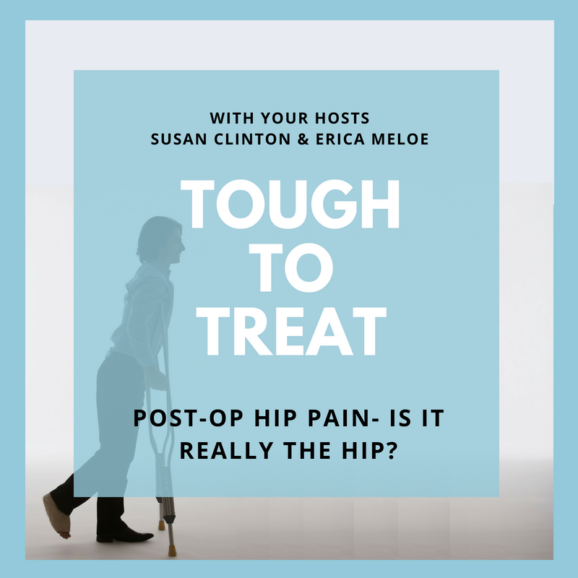 Join the Tough To Treat podcast and find out! What to do when you have back pain with sitting? How do you get to a seated position? You squat of course!! Low back pain with sitting is extremely common. I had it for years when I worked on a trading floor. Thankfully, I had an extension cord for my headset and was able to get up and move while talking to clients. The key to “good posture” is to vary it. Plain and simple! There is no right or wrong way to sit and thinking otherwise is misguided. Just get up and move! When you do have back pain with long periods of sitting, think about your bias. What I mean is, how are you sitting? Are you sitting all day turned to the right looking at your computer, or are you writing and taking notes while on a conference call, leaning on your desk at the same time? This may seem trivial but if you do them day and day out, for weeks, months, years, it adds up and could potentiate a back problem. If you do suffer from back pain with prolonged sitting, look at the ergonomics of your office and notice what you do all day-it could be quite revealing! And furthermore, look at your squat, that may be even more telling! Really? The Cause Of My Knee Pain Is Not My Knee? This is a short one on why the source of your knee pain may not be your knee. One of my patients who is a competitive golfer had chronic unresolved knee pain. Watch this short two minute video and find out the source of his knee pain. You do not have to be a golfer to watch, trust me!! People often ask me how I made the transition to Physical Therapy after a successful career on Wall Street. After all, they say, “Isn’t bond trading different than treating patients?” Not really. It is all about problem solving. You have had persistent knee pain and want it gone, yesterday. That is a problem that needs solving. Chances are it’s not your knee, especially if your symptom is a chronic one. 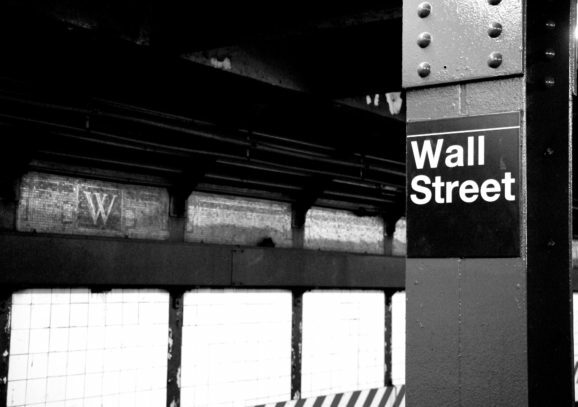 My clients on Wall St were the institutional kind, think central banks, hedge funds etc. They wanted to figure out how to strategize to maximize return or minimize loss. After all, isn’t that what you want, to be able to squat in the gym without knee pain, for example? Maximum potential, minimum loss? I was asked to give a speech this past November at our inaugural Women In PT Summit here in NYC on how I used my experience on Wall Street to grow my PT career and practice. Excerpts are below. It’s short, I promise!! I really took charge of my mindset when I started on the trading floor and how I viewed myself in a very male dominated profession. The second thing I did was identify my strengths. One of them is that I am a Learner and I love problem-solving ! The third is that I became a educator both for myself, my clients and patients. Do you know the feeling when you walk your dog and the leash is WAY out in front of you and the dog is looking back at you eagerly? Or maybe not!! That is the sign that the dog is leading YOU down the street. I have many patients who walk their dogs and often complain of neck and shoulder pain. That could be a sign that the dog is walking you. This can of course vary, depending on the size of your dog, But a little tug here and there even with a small dog can cause some aches and pains in an otherwise healthy neck. Patients often complain of neck tightness and generally grab the part of their neck just above their shoulders and want to massage it in the hopes that it will make them feel better. More often than not, this area is being put on tension or elongated when the leash is in that hand and the dog is way ahead of you. Simply put, when your leash hand is held is out in front, it puts stress and strain on the neck and shoulder muscles on that same side. The value of being treated as a whole person and not just a body part. If you have pain in one part of your body, let’s say, your knee. The longer you have this symptom, the more you incorporate this “pain” as part of your overall body image. You identify with it. That is why it is so important that when you see a Physical Therapist you receive a clinical evaluation from head to toe. Be open to other regions of your body causing your pain . A dysfunction in the foot or hip, is not an unusual cause of knee pain. 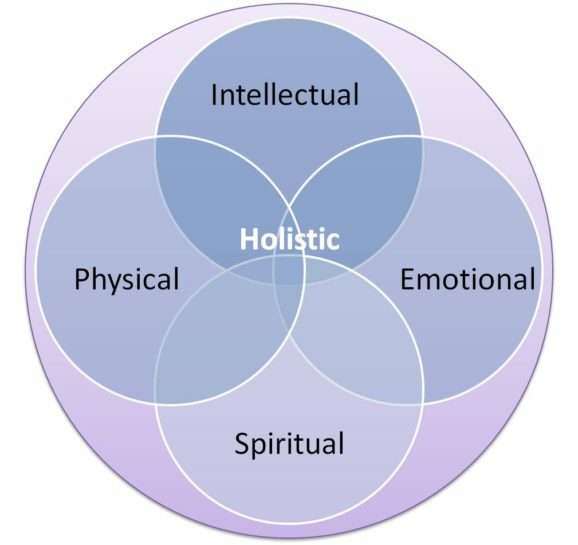 Integrating not just the physical, the knee, but the emotional, how we deal with our knee pain, and the intellectual, understanding why we have it and finally the spiritual, knowing and believing that we will heal and get better, is the epitome of a true holistic approach to musculo-skeletal health and well being. A patient of mine had a knee replacement about 5 years ago, and did not really get full pain relief from the surgery. In the years following the surgery, she tried numerous injections, pain medicine etc without much relief.